Restaurants around the world are coming under fire for menu translations gone wrong. Chances are, someone quickly did it using Google Translate and hit “Print”. The results end up being tasteless or confusing. So much for leaving a great first impression with hungry customers. Let’s go over why these mistakes are easy to miss, and the best solution for you. The most frequent mistake is typos. This problem is easily fixed with the help of one or two proofreaders. The second most frequent mistake is mistranslation, often due to a lack of culinary understanding. Translators may end up referring to a different subject matter all entirely. It could mean the difference between calling it seaweed or laver. A great example of mistranslations occurred in 1950’s Japan. Chocolate companies wanted men to give chocolate to women on Valentine’s Day. However, due to a bad translation, women thought they had to do the giving instead. To this day, women give men chocolate on Valentine’s Day, and men return the favor a month. You need to create a glossary and a style-guide with company specific translations for your products. Accuracy and consistency across languages has the most impact on product quality and usability. Additionally, using culturally specific terms or examples can be costly. Some words have no translation at all or have completely different meaning in other languages. At the root of many poorly translated menus are cultural nuances. Various food names around the world aren’t translatable, and words closest to it won’t do it justice either. But sometimes you get to settle. For example, you can call fermented diary yogurt, while others call it labneh. Culinary art is woven into our social fabric – in other words, food is cultural. Comfort food, for many of us, evokes a fond memory. However, a bad translation of your favorite dish can ruin the fondness that you once felt for it. What should you do when you have menus that need translation? You’ll need cultural experts well-versed with culinary terms. Localization companies, such as CSOFT, already have such a network of native linguists. Translating a menu is a lot like art; it’s in the eyes of the beholder. Leave the job to those that understands your culture, so your food can be enjoyed as you intended it to be. Skip the “Google Translate and Print,” job or risk becoming the next online meme. 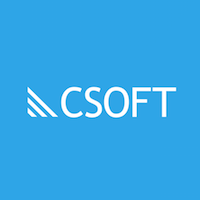 Curious about menu translations, food and beverage localization, or the services CSOFT can offer?